Discussion in 'New York Giants' started by Don Wassall, Sep 27, 2005. Eli Manning was getting criticism from the usual know-nothings in the media and among fans when he struggled as a rookie quarterback at the beginning oflast season. All rookie quarterbacks struggle before succeeding (or not succeeding as the case may be), but patience is never a long suit when it comes to fans and the media judging white football players. By the end of last yearEli was already significantly improved, and keeps getting better this year. The Giants have one of thebest offenses in the NFL so far, which no one predicted. Did anyone seriously thinkEli was going to be a flop, given his pedigree? On the road Sunday night against an extremely hostile crowd of white San Diego fans who couldn't wait to irrationally take their penned-up aggressions and frustrations out on him, Manning was stoic and outwardly as calm as can be, and threw for a career best 352 yards, completing 24 of 41 passes. He deserves a lot of credit for that performance even though the Giants lost because their defense couldn't stop the Chargers offense. Here's hopingEli becomes as good a QB as hisolder brother. Furthermore, why is when players like TO demand certain things out of a contract or his team they are dubbed *******y and brash; but when white players like Eli do it, they are called crybabies? Notice how relatively little pub Eli receives despite playing in New York and being the brother of the league's most prolific quarterback. The younger of the Manning brothers trying to become a superstar like Peyton should be a big, ongoing story. Do you thinkthe media will be so restrainedwhen Michael Vick's little brother enters the NFL, no matter which team he ends up on? No need to answer, the question's too easy. That is an excellent point Don. Two very similar scenarios, with two brothers, both high profile athletes in college. The only difference is race and the Archie pedigree. But watch how the media makes Marcus out to be EVEN BETTER than Michael. Which caste coach is going to bet the farm to trade up and get this adbomination of a football player? I'm sure Marcus, and every other QB drafted next year, will be a better QB than Michael Vick. Caste football fantasy football league was all over Eli Manning's great potential as he was drafted number 2 overall this season in our fantasy draft!!! What great insight!!! Who was that genius of an owner? a superbowl victory or two along with that tandom. Well, I told you guys my old classmate would surprise you. He will end up being one of the best QB's of all time. I hope the Manning to Shockey connection is there for many years! Playing in New York isn't as big an advantage regarding publicity as it used to be, but if Eli Manning makes it big as a QB in New York, it will be interesting to see how big a star he will be. For example, if Eli wins 3 Super Bowl rings as Tom Brady has, would he be the biggestname in the NFL? Joe Namath became the most famous player in pro football by winning one Super Bowl. Y.A. Tittle was a 34-year old veteran QB when he was traded to the NY Giants in 1961. Over the next 3 years, he set some passing records and took the Giants to 3 NFL title games, though they lost each time. Tittle was the most publicized NFL player during 1961-63. He was bigger during that time than Jim Brown and Johnny Unitas because he was playing in New York. Will Eli become the biggest star in the NFL if he hits it big in New York? Once upon a time he would have been. From what I have read, he's somewhat "laid back." It will be interesting to see how it pans out. The media will likely say that Eli isn't "charismatic." My bet is going to be caste football coach extraordinare Dennis Green, knowing his history,. I was shocked when he didn't make a play for Adrian Mcpherson in the draft, and having all white QB's on the team. Not to worry however, yesterday the cardinals signed the great Rohan Davey, who was released by the Patriots in August. With the current Cardinals record, by next year they may get to draft Marcus without having to trade anyone. KJV1, Dennis green would be a great bet to take either little Ron Mexico or Young from Texas. He made it pretty clear when he was at Minnesota that he wanted a black quarterback. He picked-up Warren Moon and Randall Cunningham before drafting Culpepper - all the while discarding great quarterbacks like Rich Gannon and Brad Johnson. The only thing that might hold him back is having the first entirely black team. That would be so blatant and in-your-face. But most white football fans would probably root for the Cardinals. They would become America's Team. Just look at the South, which is supposedly the most significant bastion of white resistance left in the U.S., yet black football players and all-black teams are idolized by the white fans there. he would still having trouble getting a black center, black quarterback, black kicker, and black punter all starting on the same team. I hope that more Southerners like me abandon their teams as they become a sorry representation of their respective region. It is difficult, but it can be done! I've been Ole Miss free for 2 years now, and have suffered very few symptoms of withdrawal! He signed his black quarterback yesterday, so don't lose hope. The way the caste system works there still is a chance- Reggie Roby as punter and Donald Igwebuike as kicker. Col.Reb, you're former class mate Eli, did very well again today. He threw for nearly 300 yds, with 4 TD's and0 picks. Yeah, Eli and Peyton both had great games yesterday. I saw the Giants game. It was fun to watch. I have to dedicate this post to another Eli, my grandfather, who died this morning. The World War II veteran and the grandson of "one of Forrest's men," he shared so much of his wisdom and experiences with me. He was a man of integrity and I will miss him dearly. 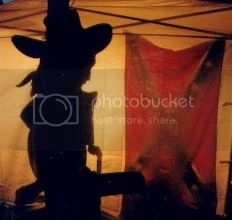 Sorry to hear of your loss, Col. Reb. Eli was Big Time down the stretch against a good Denver defense. His game winning touchdown throw with just a few seconds left was as clutch as it gets. The Vick Brothers are going to geta lot morepublicity, but it will be the Manning Brothers who will face off in the Super Bowl one of these years. I'm sorry to hear that too Col.Reb but he is in a better place right now.God bless him. His protection had already failed him, too. The Denver line was swarming, he was scrambling back and to his left when he made that throw. And it was heads up by his receivers to drift left when they saw what was happening. Great throw to end a great game. That was a great drive at the end of the game. I knew they would score. Eli has become a whole lot more comfortable now, and will continue to do so. Well, Eli is having a breakout year. He did very well again yesterday, throwing 3 TD's. They are still just behind Dallas in the NFC East, but not for long. 7-3 is more than what most people expected for this team this year. Keep it up Eli! I just glanced at the NY Post sports section. It seems that the fans sometimes boo Eli and say he'll never be as good as Peyton. Well, it seems that Eli is doing well for a 2nd year QB.